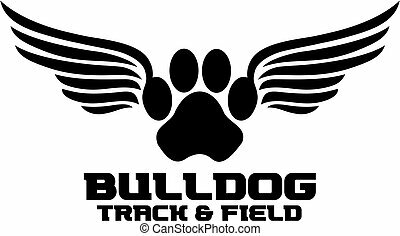 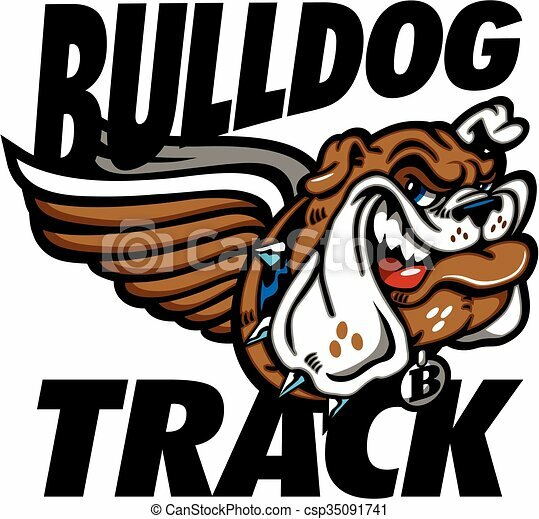 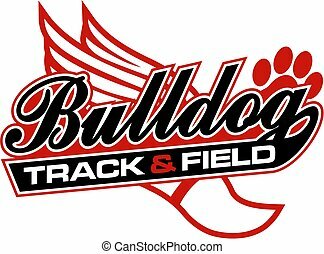 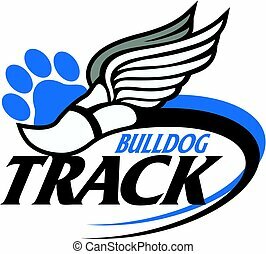 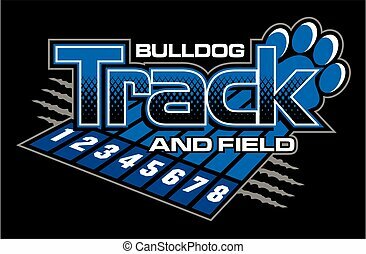 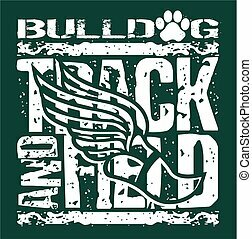 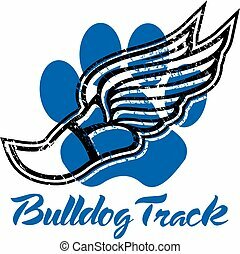 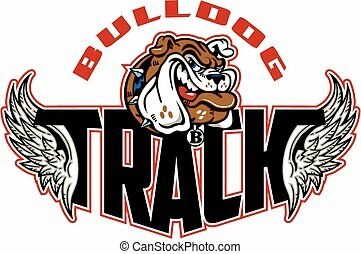 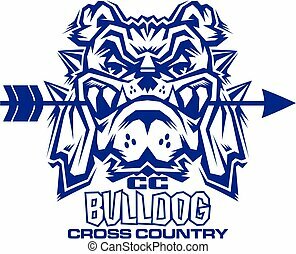 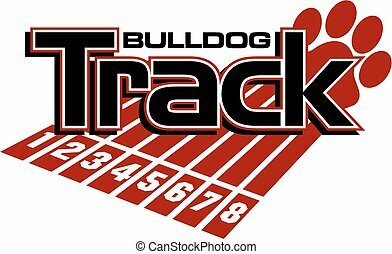 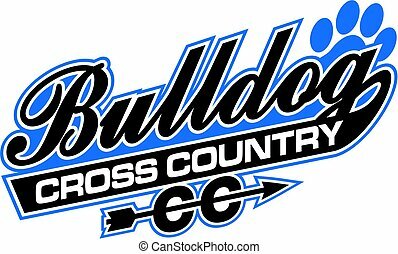 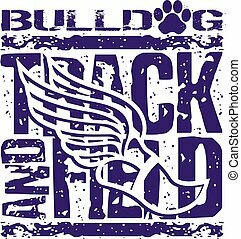 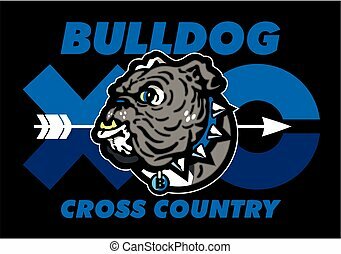 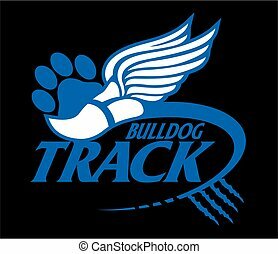 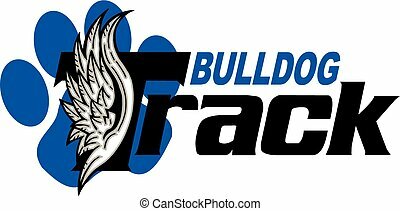 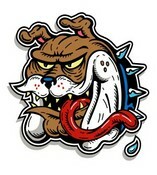 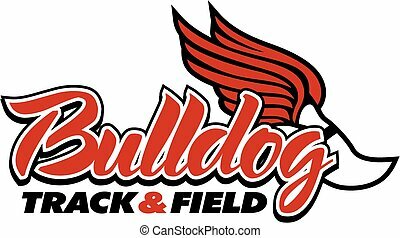 Bulldog track and field team design with winged mascot for school, college or league. 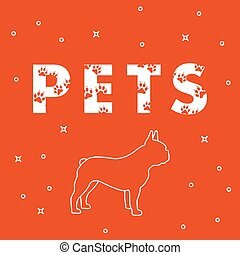 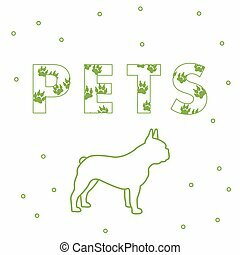 Inscription: Pets and dog. 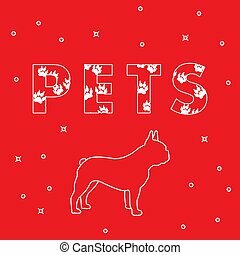 The message is decorated with traces. 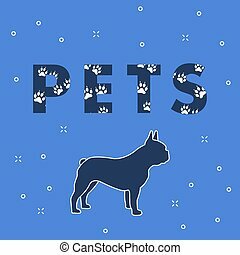 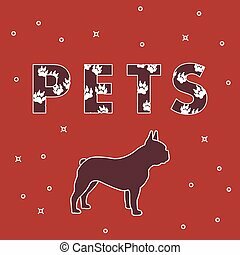 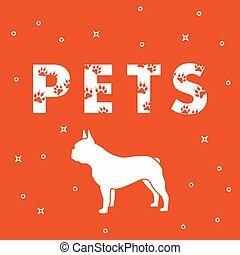 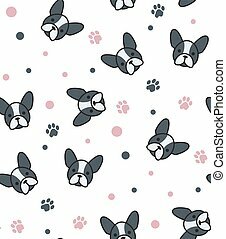 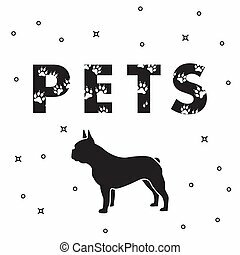 Breed of dogs french bulldog.